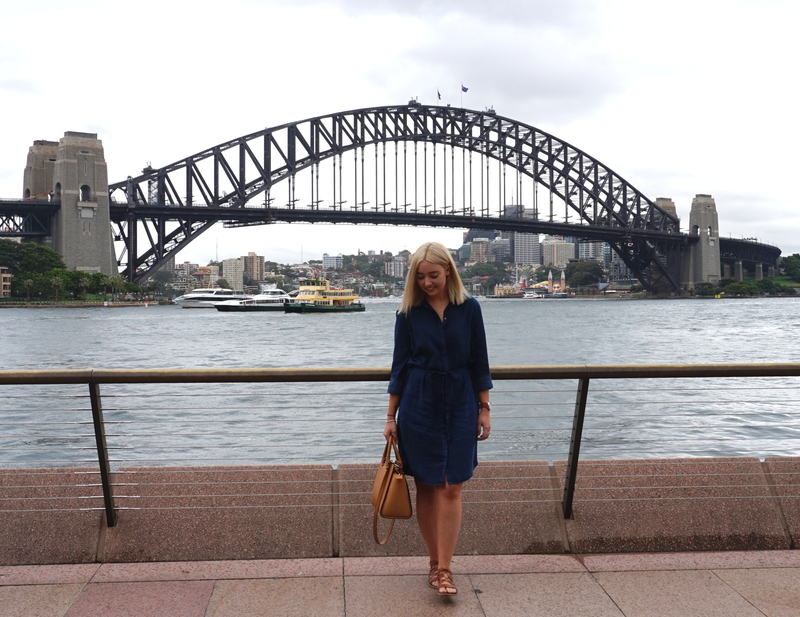 This week I had the pleasure of traveling to Sydney to visit family… and to shop! What a gorgeous city it is! 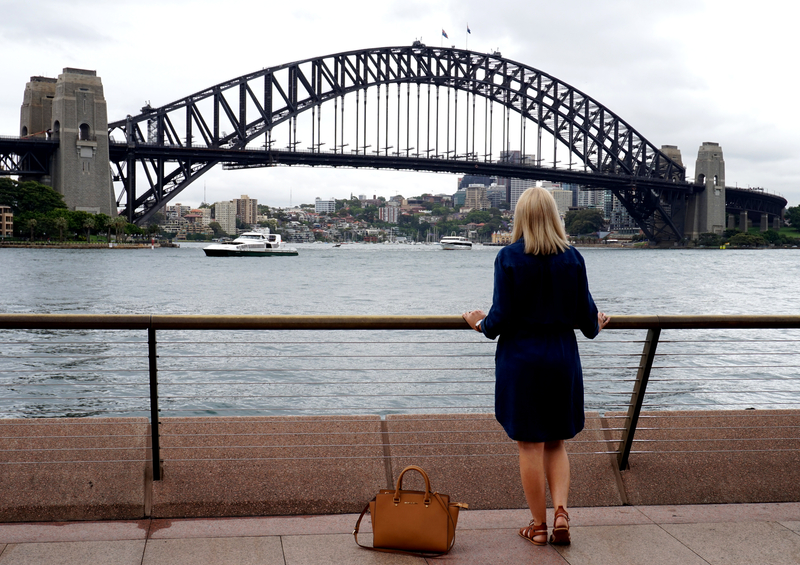 Although the weather was unpredictable at times, it didn’t take away from this gorgeous Australian city. I am definately addicted to travel! Whether it’s overseas or interstate – I love packing my bags and flying away! Although I love travel and, ofcourse, I love fashion, I always find it challenging to get creative with my outfits while I’m away. There are so many factors you have to think about when packing clothes – what the weather will be like, who you’ll see, where you’ll go, casual or dressy… the list goes on! Out of all I have in my wardrobe (and that’s a lot!) I couldn’t go past my chambray shirt dress. It’s long sleeved so it’s great for cool weather (or roll them up when the whether warms up), it’s soft and comfy for long trips, it’s cinched at the waist with a tie up belt for a softer silhouette and it’s the ultimate piece to dress up or down. Tone it done with tan accents, sandals and a large structured bag says cool casual. Or team it with pointed heels and a complimenting clutch for a day to night transformation. Did I mention they’re light and easy to pack?! Not only is Sydney a gorgeous and famous city – it has A-M-A-Z-I-N-G shopping!! Keep an eye out on future posts to see what I bought on my trip! Shirt Dress – Witchery, Sandals – Betts for Her, Bag – Michael Kors, Watch – The Horse.